With Readly you can read HELLO! 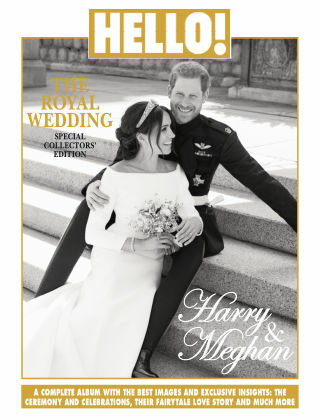 Special Collectors' Edition, The Royal Wedding Prince Harry & Meghan Markle and thousands of other magazines on your tablet and smartphone. Get access to all with just one subscription. New releases and back issues – all included. To mark the wedding of the year, HELLO! is delighted to bring you everything you need to know about Prince Harry and Meghan Markle’s special day in one historic souvenir edition. It’s essential reading for royalty fans everywhere.